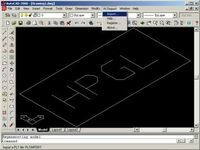 It is a powerful windows program that will help you convert your PDF files to usable and editable DXF files quickly and easily, so you can recover the entities in PDF to corresponding DWG entities easily. Key Features include: 1. 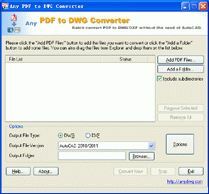 Convert PDF to DXF format. 2. Stand-alone program - AutoCAD NOT required. 3. Batch convert all pages in each PDF file. 4. Restores the layers in PDF. 5. Supports all PDF entity types, including polylines, polygons, text and etc. 6. 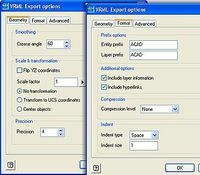 Extract embedded raster images from PDF files. 7. 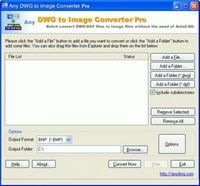 Convert thousands of PDF files to DXF files in one easy step. 8. High quality, high performance, and simple to use. The free trial version is available for download at http://anydwg.com/pdf-to-dxf.html , and the trial version is full functional for 20 times.